Convenient and delicious foods. Who can object to that, right? But when rainforests equivalent to 300 football fields are being destroyed every hour (according to the World Wide Fund for Nature), and the critically endangered orangutans are being driven toward extinction due to habitat loss, starvation, being burned alive, smoke exhaust, and being hacked to death with machetes all due to the massively destructive palm oil industry … there’s a reason we should object to foods containing palm oil—no matter how delicious they are. And when the Great Pacific Garbage Patch is now estimated to be three times the size of France, the mounting problem of plastic pollution can no longer be ignored. We must abstain from conveniently packaged foods to reduce our single-use plastic footprint. I was once a loyal shopper and fan of Trader Joe’s. But after I went vegan, and became hyperaware of all the things that harm animals and destroy the environment, I realized that palm oil was a detrimental ingredient in so many Trader Joe’s products (see the different names for palm oil). You’d be hard pressed to find a product in their store that doesn’t contain palm oil, the ubiquitous ingredient found in everyday foods, desserts and personal care products. And, in a matter of years, it may be notoriously known as the one ingredient that single-handedly drove orangutans to extinction. What’s worse is Trader Joe’s has taken a rather dismissive stance on the issue, ignoring petitions from consumers asking for the removal of palm oil from their products. 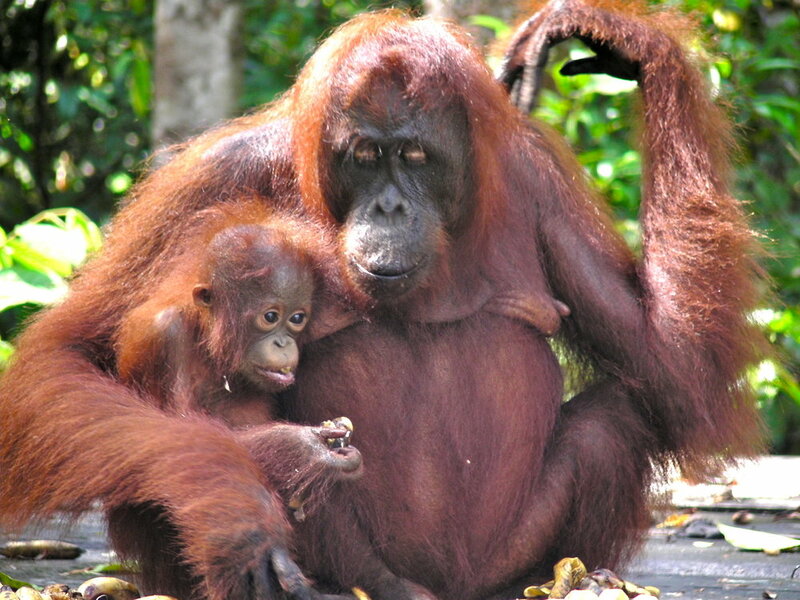 When they did respond to a consumer's letter asking about palm oil in their products, they said that it is "impossible and disingenuous" to ensure that all their products use deforestation-free palm oil. It seems that they're unwilling to make a strong commitment to change their supply chain and ensure that all their products containing palm oil are sustainably sourced—if there even is such a thing. 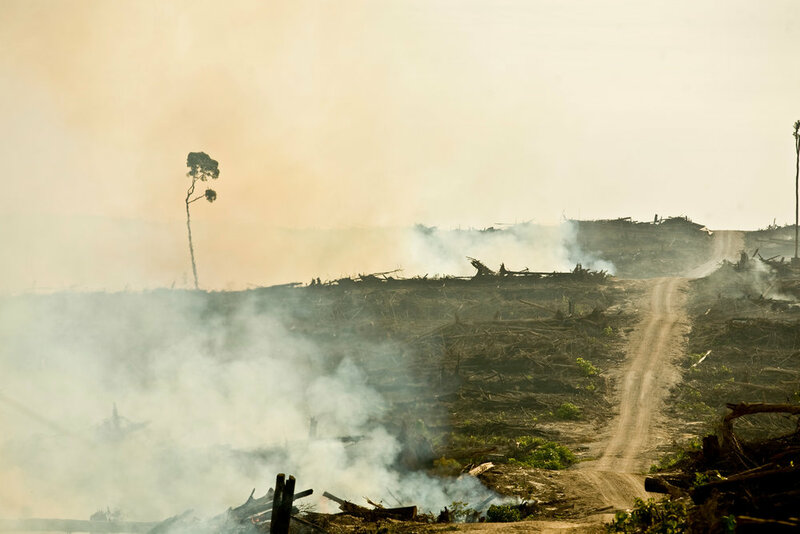 According to Rainforest Action Network, Roundtable on Sustainable Palm Oil (RSPO) and other companies fail to enforce rules and standards that prevent deforestation and human rights violations. What is with all the plastic and net bags, Trader Joe’s? I get it. Pre-packaged foods are convenient, but do we really need to package bell peppers and put avocados and oranges in net bags? Surely the customers are more than capable of handpicking the items themselves, instead of having them pre-bagged. And what about all those plastic trays and wraps used for produce in the refrigerated section? The first eco-friendly step would be to at least replace the plastic trays with cardboard boxes like they do with mushrooms. And instead of using plastic wraps for their burritos and food wraps, they could use paper or cardboard instead. As much as I want to support Trader Joe’s for offering more vegan options, I don’t know if I can continue to shop there knowing that so many of their vegan foods, which are supposed to help us abstain from contributing to animal cruelty, contain palm oil and are actually driving a beloved species to extinction. I don't even know if palm oil should be considered vegan because of this. Meanwhile, Trader Joe's excess plastic packaging is also adding to the plastic pollution problem that is wreaking havoc on our environment, and especially our oceans and the life they sustain. I don’t expect vegans to boycott Trader Joe’s because they do need to see that there is a demand for vegan food, and that people do appreciate their vegan offerings. I also know that even vegans draw the line somewhere, and that many may think it extreme to consider products containing palm oil as non-vegan. However, I can't shake the nagging feeling of guilt; given everything we know about the palm oil industry, to knowingly buy products with an ingredient that was sourced at such a fatal and destructive cost seems like it goes completely against vegan values. It's similar to how I felt when I learned about the extreme cruelty in the animal agriculture industry, and why I became vegan because I didn't want to support it with my money. In the end, it's up to consumers to make conscious choices about where and on what they spend their money. Our dollars are our votes, and if there is a demand, companies will blatantly continue to plow and pillage our natural resources and any lives that get in their way.